You will learn today: 1) Eight steps to start creating killer landing pages that actually convert, 2) the important SEO ranking factor that many people are today ignoring, 3) five data-backed ways to get more likes on your Facebook business page, and 4) a series of growth hacks to apply if you manage a SaaS (Software as a Service) company. 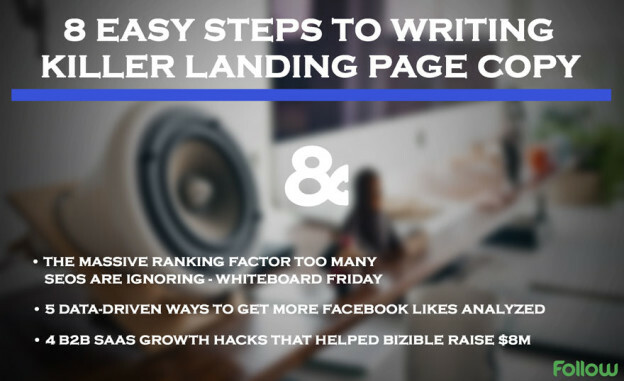 8 Easy Steps to Writing Killer Landing Page Copy – This slideshare is filled with great advice, and many tips and tricks to make your landing pages stand out and convert better. Click above and learn how to make the best out of copyrighting, CTA (Call To Action), customer expectation, and much more. The Massive Ranking Factor Too Many SEOs are Ignoring – Whiteboard Friday – Rand Fishkin — from SEO agency MOZ — talks about one factor that may help you rank better. Despite there might be still some ambiguity (from Google) around the ranking factor, there is evidence that all marketers should, in fact, start optimizing for it. 5 Data-Driven Ways to Get More Facebook Likes Analyzed – Acquiring Facebook likes is very easy today. However, are these likes of the right kind? Are they the result of real engagement from real people? In this blog post by AdEspresso — U.S.-based Facebook advertising agency — you will learn several tactics to get more likes from the proper audience, the one that may help you propel your business. 4 B2B SaaS Growth Hacks That Helped Bizible Raise $8M – Bizible is a salesforce marketing analytics app for businesses. Given the type of company that Bizible is, the team experimented with different growth hacks to generate leads, sales, and revenue. This blog post outlines a few of the strategies the company used in the past. 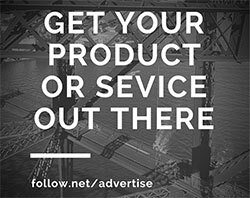 This entry was posted in Customer Acquisition Strategies and tagged business, company, data, Facebook, Facebook page, growth hacks, landing pages, likes, ranking, ranking factor, SaaS, SEO on December 26, 2014 by Davide Di Prossimo.